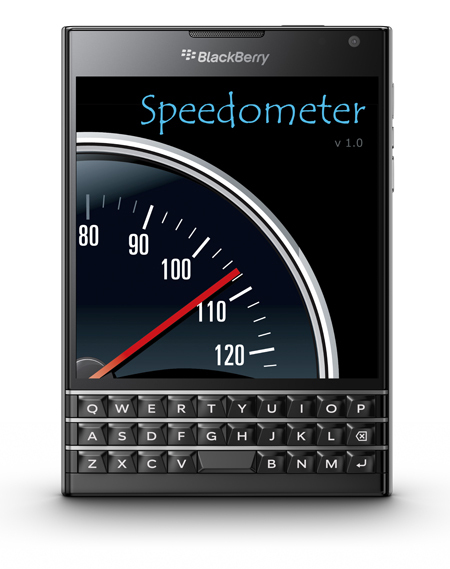 A simple, easy and accurate GPS based speedometer for your BlackBerry 10 and classic BlackBerry devices. The ease and convenience of using your mobile phone as speedometer. Download today. Supports other units as well like knots, meters per second and feet per second etc. All popular blackberry devices including BlackBerry 10 phones like BlackBerry Classic, BlackBerry Leap, BlackBerry Q10, Q5, Z10 etc and also works on classic BlackBerry devices like Bold, Curve, Torch etc.